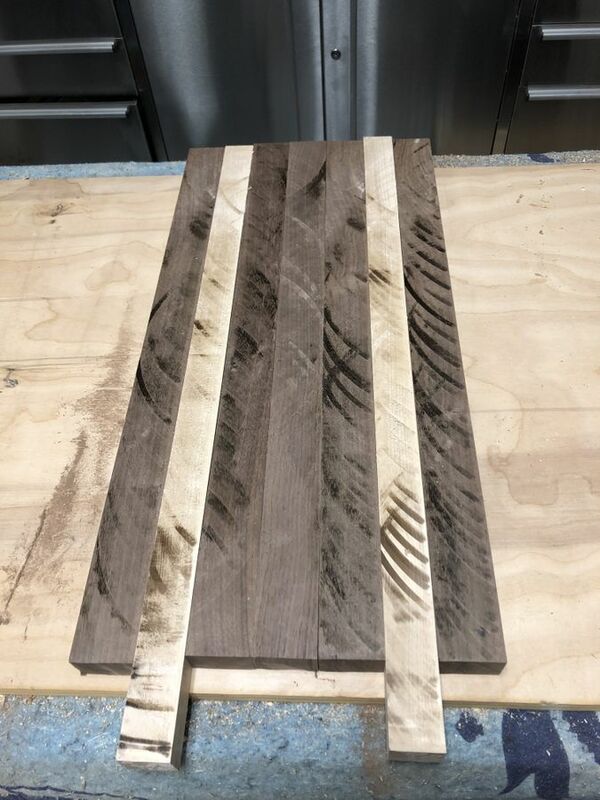 It’s something of a woodworking rite of passage to make your first cutting board. 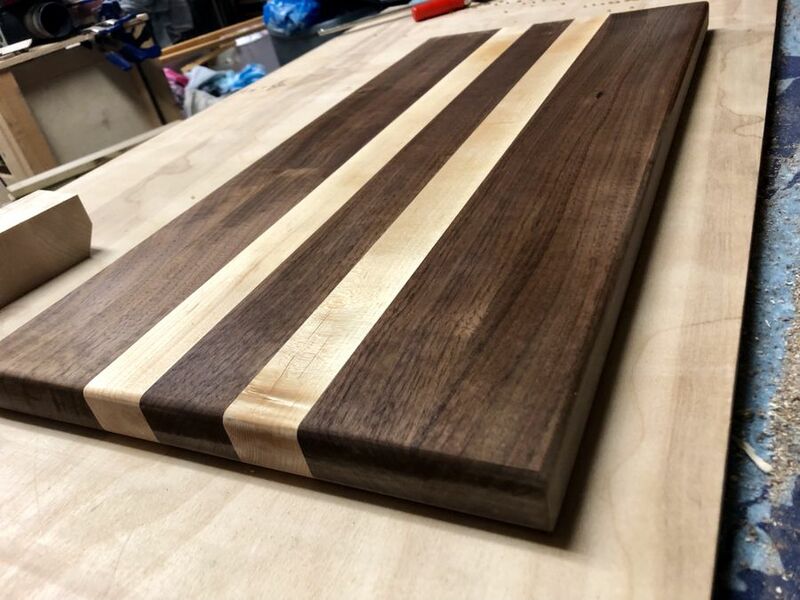 I decided to give as many handmade gifts as possible this Christmas, so cutting boards and cheese boards are first up on the list. 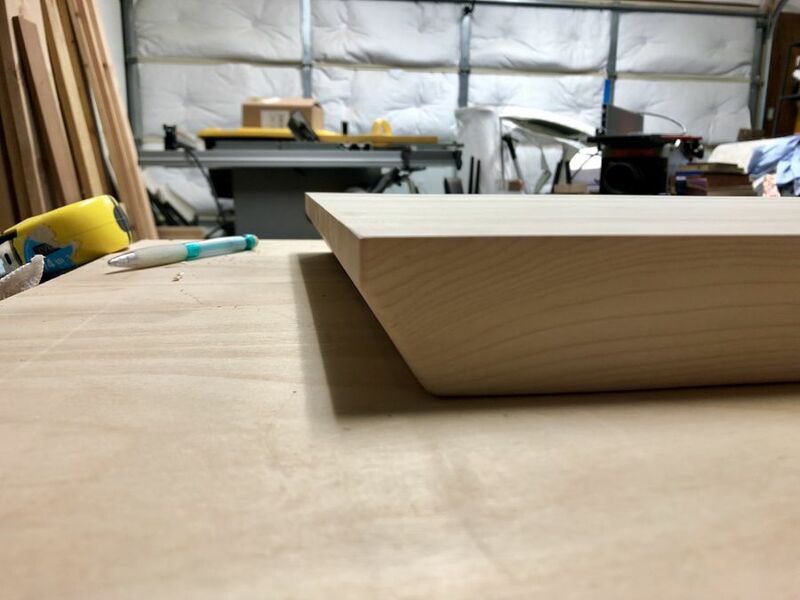 My first complete board is hard maple. 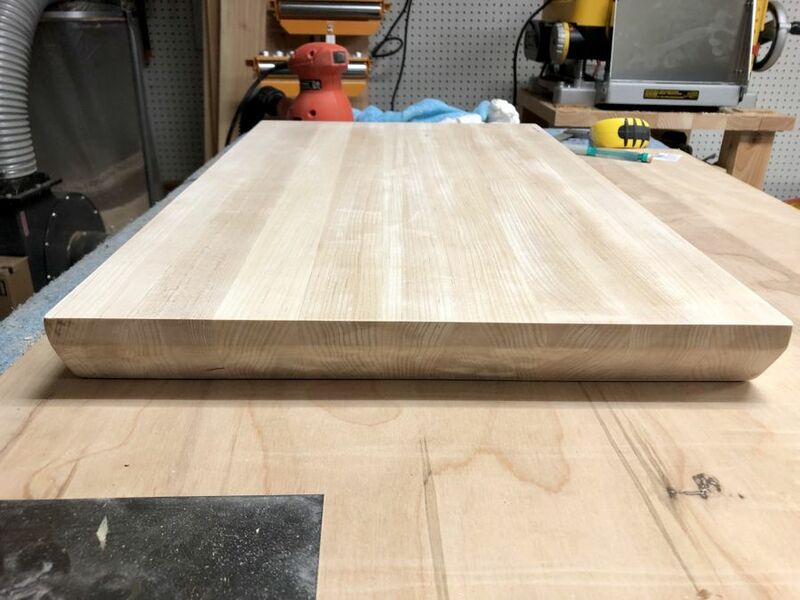 Started from 8/4 stock, final edge grain board is approximately 24”x16”x1.75”. I added a chamfer (around 30 degrees, I forget the exact angle) to the bottom to give it a more polished appearance. 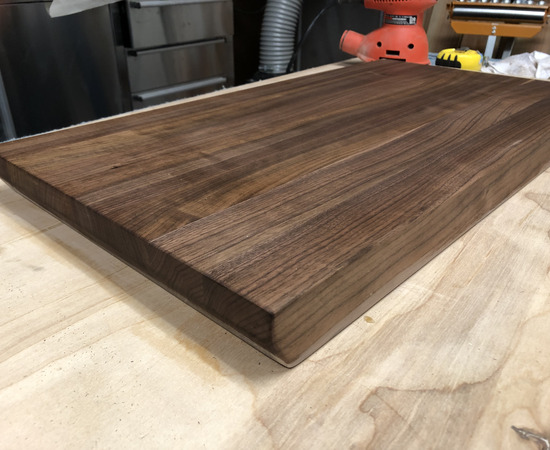 Next was an almost identical walnut cutting board. 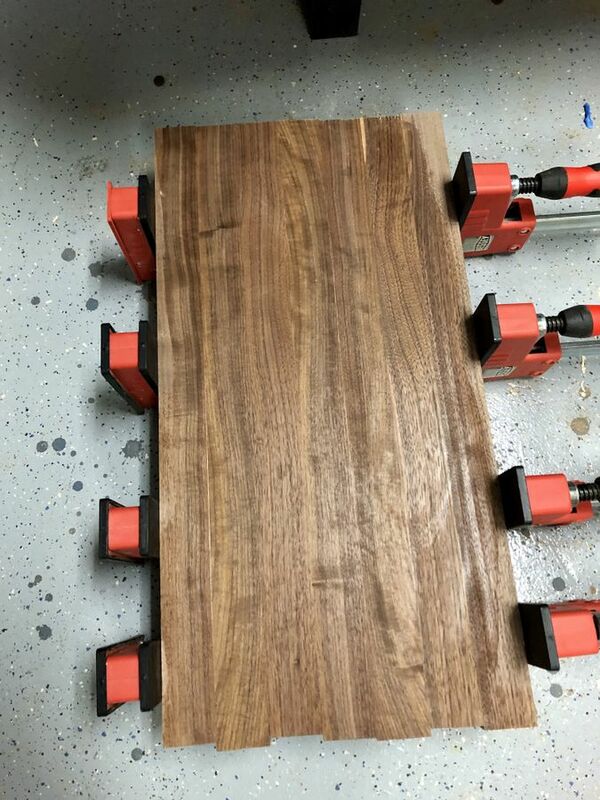 Finally , a 5/4 walnut and maple board. I’ll finish with mineral oil a little closer to Christmas. 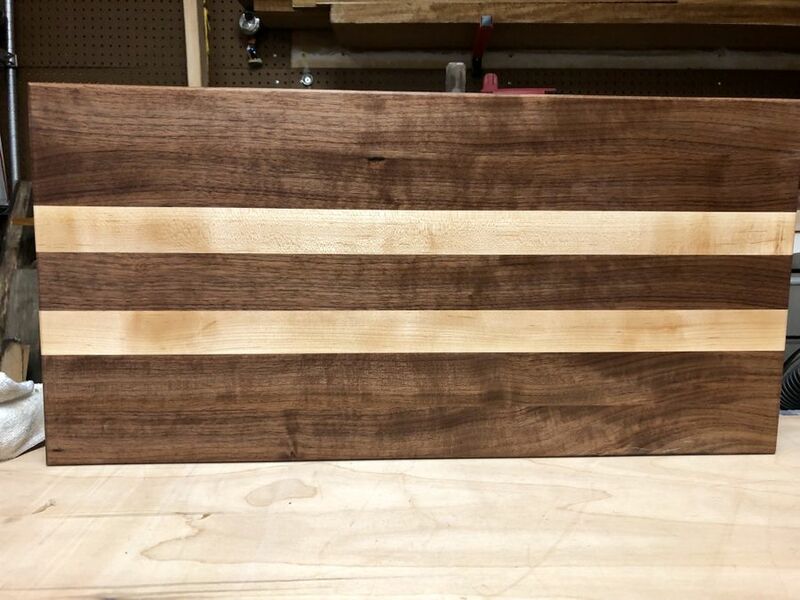 Completed cutting board. Will apply mineral oil in a batch once all boards are done. The walnut version. 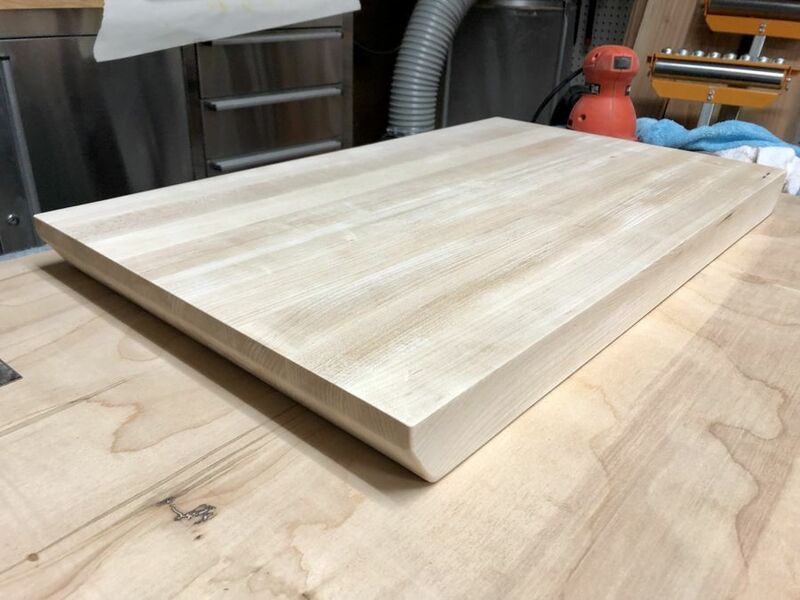 Similar design, but a little narrower than the maple board. 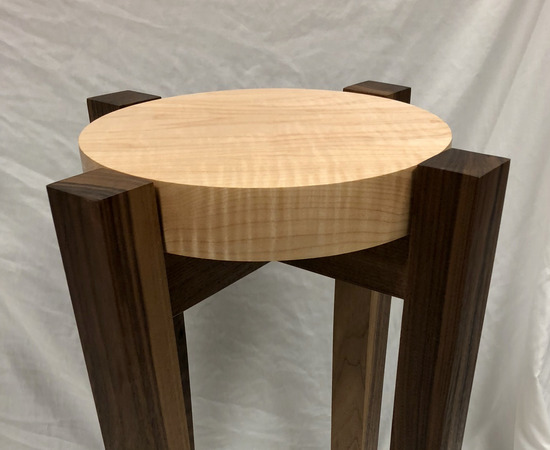 Love the profile and the contrast between woods, but I wish I could change the widths of the maple strips. 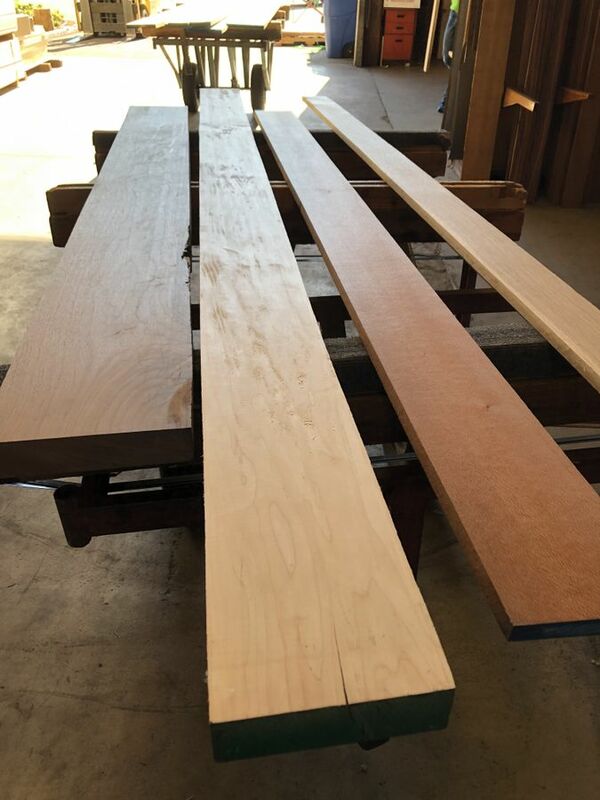 Picked up some 8/4 walnut and maple, as well as 4/4 lacewood and rift sawn white oak for a different project. 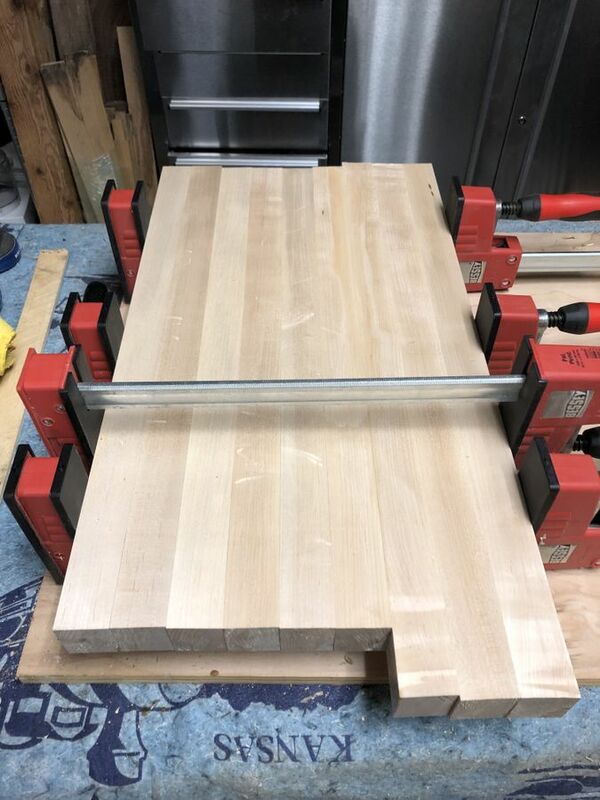 Had to do the glue-up in two stages to fit through my planer. 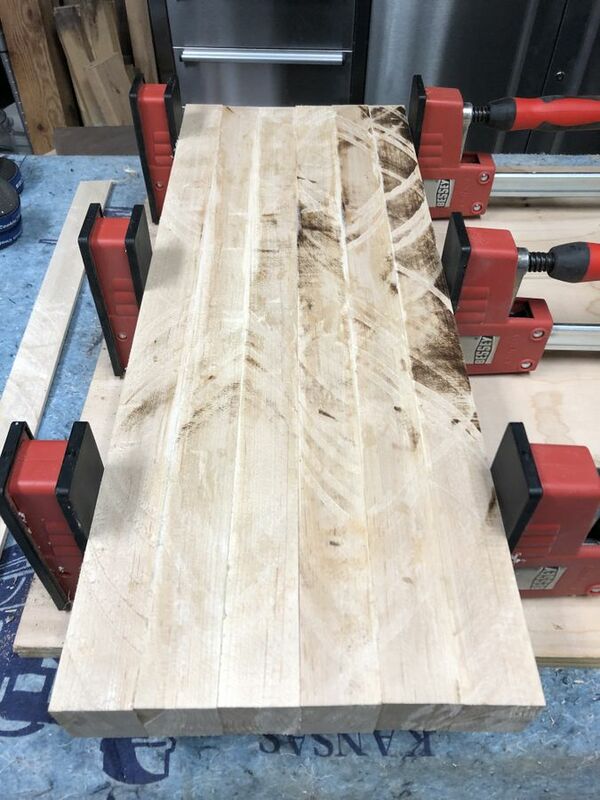 You can see that my table saw really struggled with the thick pieces of maple, time for an upgrade. 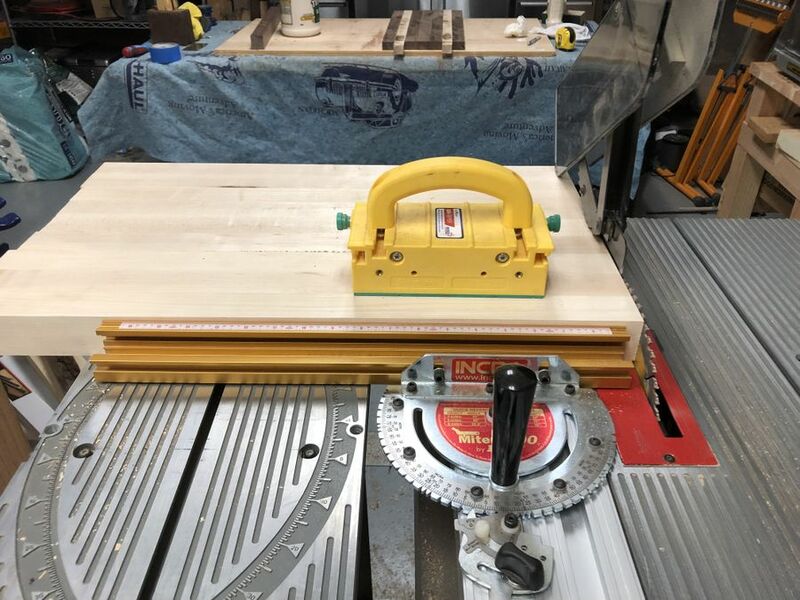 Two sections planed and glued up. Trimming up the edges. Didn’t get any pictures of adding the chamfers because I had my hands full. I’m very pleased with the profile on this board. I softened all of the corners/edges on bottom while sanding, but left the top edges sharper. 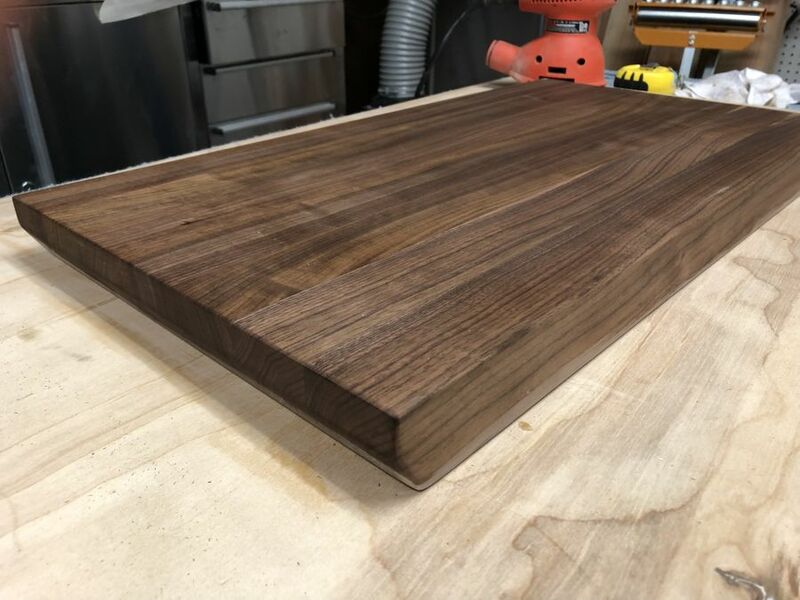 A walnut cutting board I’m working on, slightly smaller than the maple board. 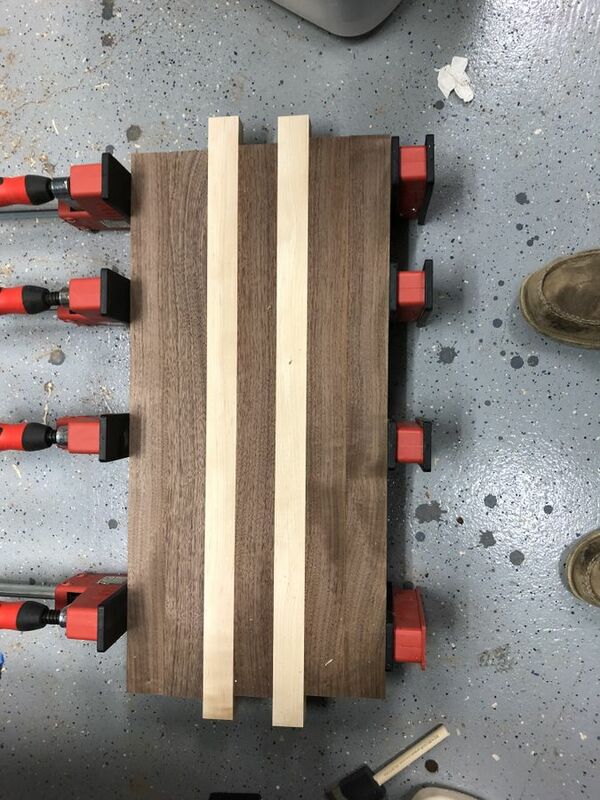 Laying out my walnut and maple serving tray. Should be around 4/4 thick when finished. 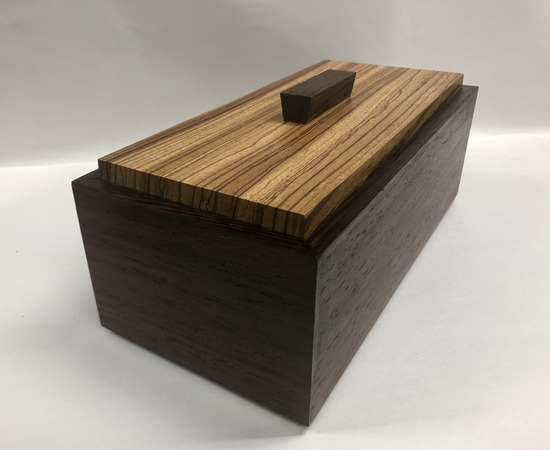 Decided to move the maple toward the inside (I’m calling it the “racing stripes” configuration), I had a hard time deciding which I liked better. 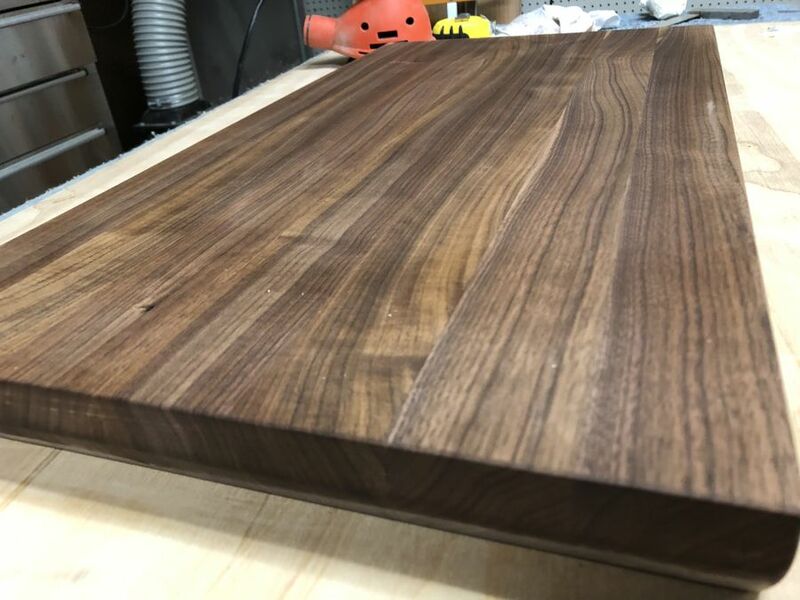 This walnut board is gorgeous. 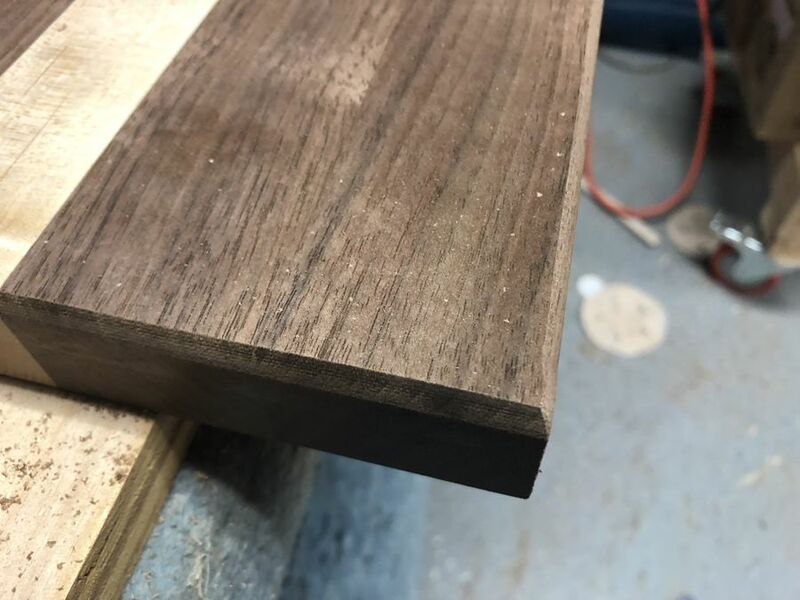 I’m going to try an end grain walnut board for myself after the holidays. Routed a profile on the smallest board with a round over bit.